Red-Lock (CTL-4) is a tension bolt lock developed for use with the Bolt Tight to meet the demands of even the hardest-hitting drummers. While Bolt Tight is enough for most players, Red-Lock ensures that even the hardest rimshots won’t loosen your tension bolts. Tension bolt play occurs mostly around the spot a stick strikes. The moment the hoop sinks from the force of a rim shot, the bolt becomes free and able to turn. This is when the Red-Lock comes into play, holding the bolt to prevent turning. The Red-Lock is compact and will never stick out from lugs or get in the way of drum storage, even in your custom-sized cases. By combining Bolt-Tight and Red-Lock, you have our “Iron-Wall Guard” to ensure that even tuning and consistent sound are retained through even the most punishing performances. 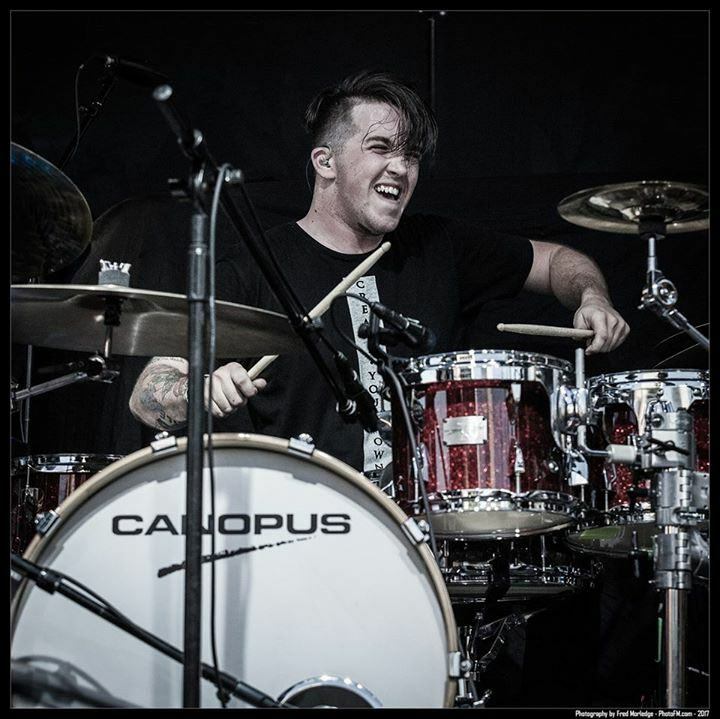 If you’re a heavy hitter, Canopus has an inexpensive new product called Red Lock (CTL-4) that’s designed to work along with Bolt Washers to stop your drum from detuning. Playing rim shots repeatedly can cause your tension screws to gradually loosen, making the drum drop in pitch and eventually cause sluggish stick action. If you’re a heavy hitter, Canopus has an inexpensive new product called Red Lock (CTL-4) that’s designed to work along with Bolt Washers to stop your drum from detuning. Playing rim shots repeatedly can cause your tension screws to gradually loosen, making the drum drop in pitch and eventually cause sluggish stick action. Installation is quick and painless. Simply slip the tension rod through the rim and thread the Red Lock onto it before screwing it into the lug. 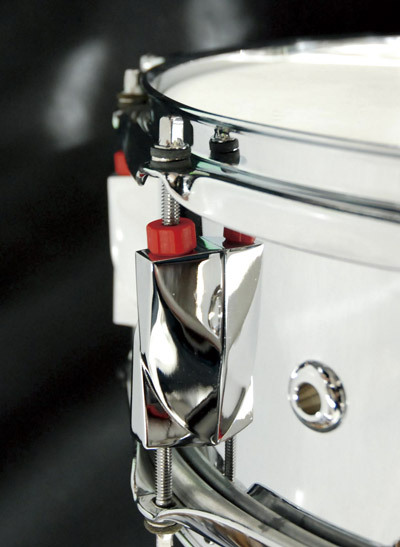 Once your drum is tuned, turn the Red Lock so that it applies pressure against the lug. This will keep the tension screw from turning and detuning. The package contains four Red Locks, which are intended to be placed on the lugs nearest you. I put them on my snares closest four lugs and they held my drum in tune. I’m not the world’s loudest drummer, but I appreciated not having to retune my drum between sets. These would be useful for any hard rock or metal drummer who’s tired of tweaking their snare throughout a gig. 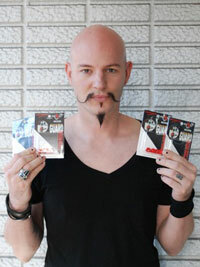 Of course, they’re affordable so you can use them on every drum on your kit if you like. The red locks are brilliant. They work perfectly to keep my snare in tune and leave me not worrying about having to tune in the middle a show. I just played Budokan last night & for the first time my snare drum stayed in tune thanks to Red Lock! They are indeed an "Iron Wall". I've just opened one package of BT-40 for me with the red locks and used them and I'm really amazed!! What an amazing product!! I always had some problems with the two screws that are on each side of my bassdrum where the pedal attaches. Well, I used the two red lock on each screw and YES, no more problems this last two shows I've had!